Пащърнакът е широко разпространен в България. Отглежда се култивирано подобно на морковите. Корените на пащърнака се използват за храна, а листата му като подправка и за украса на слати. Корените му са с формата на морков, но са по-светли и с по-силен вкус. 1.Се варят или пекат и пасират на пюрета. Корените пащърнак се пекат с кората. 2.Пащърнакът може да се добави към супи, яхнии, ястия с месо и без месо, салати. 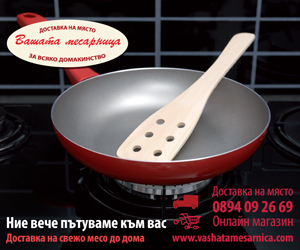 3.Пащърнакът е чудесно допълнение към маринати на дивеч. 4.Пащърнакът е полезен за деца над определени месеци. 5.Пащърнакът може да се използва при рибни и зеленчукови консерви. Пащърнакът чудесно си партнира с броколи, моркови, лук, гъби, сирена, мащерка, джинджифил, черен пипер, магданоз, праз, чесън, дафинов лист, бахар, целина, джоджен. 1.Пащърнакът е ниско калоричен и не съдържа холетерол. Подходящ е при диети. 2.Богат е на витамини, белтъчини, въглехидрати, фолиева киселина. 3.Има по-високо съдържание на захари в сравнение с другите кореноплодни. За предпочитане са средните и дребните корени на пащърнака. Едрите са много влакнести. Корените се съхраняват неумити, завити в хартиен плик, на хладно, далеч от слънчева светлина. При употреба се действа както при морковите. Дребните само се измиват, а по-едрите се почистват като се обелват с белачка. Ако вътрешността е твърда и влакнеста се премахва. Народната медицина препоръчва, пащърнакът да се употребява под формата на извлек. Може да се приложи при проблеми на отделителната система, сърдечна невроза, високо кръвно и други болести. 42 коментара на "Пащърнакът в кухнята"
I? impressed, I need to say. Actually rarely do I encounter a weblog that? both educative and entertaining, and let me tell you, you’ve got hit the nail on the head. Your thought is outstanding; the problem is something that not sufficient individuals are speaking intelligently about. I’m very completely happy that I stumbled throughout this in my seek for one thing referring to this. This website is really a stroll-by means of for all the info you wished about this and didn? know who to ask. Glimpse here, and you?l undoubtedly discover it. Can I simply say what a aid to seek out someone who actually knows what theyre speaking about on the internet. You positively know how one can deliver an issue to gentle and make it important. More people must learn this and perceive this facet of the story. I cant imagine youre not more well-liked since you definitely have the gift. Good post. I be taught something more difficult on totally different blogs everyday. It will all the time be stimulating to learn content material from other writers and follow a little bit one thing from their store. I? want to use some with the content material on my weblog whether or not you don? mind. Natually I?l provide you with a link on your web blog. Thanks for sharing. I am usually to blogging and i really recognize your content. The article has actually peaks my interest. I am going to bookmark your web site and keep checking for brand spanking new information. That is the correct weblog for anybody who wants to search out out about this topic. You notice so much its nearly arduous to argue with you (not that I actually would need?aHa). You positively put a brand new spin on a topic thats been written about for years. Great stuff, simply great! This web site can be a walk-by way of for all the data you needed about this and didn? know who to ask. Glimpse here, and also you?l undoubtedly uncover it. This website online is known as a walk-through for the entire info you wanted about this and didn? know who to ask. Glimpse right here, and you?l definitely discover it. Spot on with this write-up, I actually suppose this website needs much more consideration. I?l in all probability be again to learn far more, thanks for that info. Youre so cool! I dont suppose Ive read anything like this before. So good to find anyone with some authentic ideas on this subject. realy thank you for starting this up. this website is one thing that is needed on the internet, somebody with a bit originality. helpful job for bringing one thing new to the web! Aw, this was a really nice post. In idea I want to put in writing like this additionally ?taking time and actual effort to make a very good article?however what can I say?I procrastinate alot and not at all appear to get something done. Spot on with this write-up, I really suppose this website wants way more consideration. I?l in all probability be again to learn much more, thanks for that info. I? impressed, I need to say. Actually not often do I encounter a blog that? both educative and entertaining, and let me tell you, you might have hit the nail on the head. Your concept is excellent; the issue is something that not enough individuals are talking intelligently about. I’m very completely satisfied that I stumbled throughout this in my seek for something referring to this. We are a group of volunteers and opening a brand new scheme in our community. Your web site provided us with useful info to work on. You’ve done a formidable process and our whole community might be grateful to you. I simply want to say I’m all new to blogging and absolutely savored you’re blog site. More than likely I’m want to bookmark your blog post . You absolutely come with incredible writings. Cheers for revealing your web page. I like a Peruvian deep wave! qBxhqx Your style is really unique compared to other people I ave read stuff from. I appreciate you for posting when you have the opportunity, Guess I will just bookmark this web site. UFKnya Thank you for your article post. Fantastic. Great V I should certainly pronounce, impressed with your site. I had no trouble navigating through all the tabs as well as related information ended up being truly simple to do to access. I recently found what I hoped for before you know it in the least. Reasonably unusual. Is likely to appreciate it for those who add forums or anything, web site theme . a tones way for your client to communicate. Nice task.. I just want to say I’m all new to blogs and certainly loved this website. More than likely I’m going to bookmark your site . You amazingly have tremendous posts. Thanks for sharing with us your website. I simply want to say I am just new to weblog and absolutely savored your web blog. Probably I’m planning to bookmark your blog . You actually have very good writings. Thanks a bunch for sharing with us your blog site.